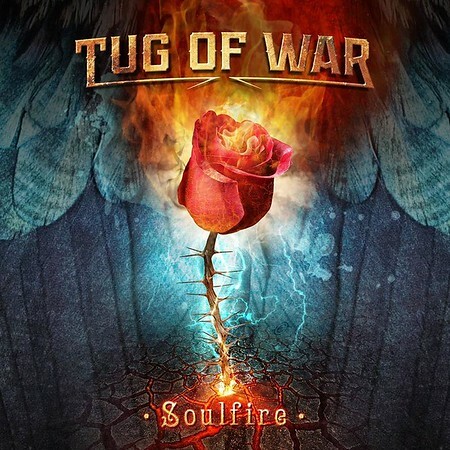 Tug of War released their debut album “Soul Fire” through Escape Music on 22nd February. The band was established largely to spotlight Canadian singer BK Morrison, but it also features prolific Swedish musician and producer Tommy Denander, who should be a familiar name to most rock music fans. The track “Bullet With Your Name” was included on the Friday NI Rocks Show on 8th March. Tommy Denander linked up with BK Morrison after the singer had posted videos of himself singing on YouTube. He then wrote an album of songs for him and brought him over to Stockholm to record them. A deal was then signed with Escape Music who took the decision to use the band name Tug of War rather than release a ‘solo’ album. Denander plays guitars and keyboards on the album and also produced it alongside Khalil Turk from Escape Music. Other artists performing on the album are Brian Anthony and George Hawkins Jr on Bass, Billy Orrico on drums and Chris Ousey (Heartland/Snakecharmer), Bill Champlin (Chicago) and Joseph Williams (Toto) on backing vocals.